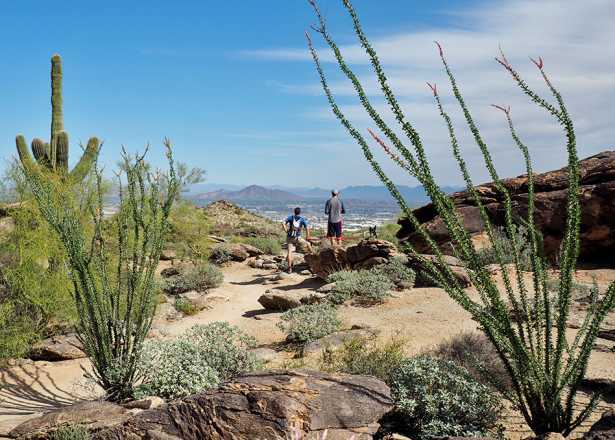 Greater Phoenix is an outdoor adventurer’s dream. We have year-round sunshine and blue skies, a seemingly endless array of mountain trails, desert terrain adorned with iconic saguaro cactuses, and six lakes and a flowing river within a 75-minute drive of the city. With all these options, where does someone start their exploration? 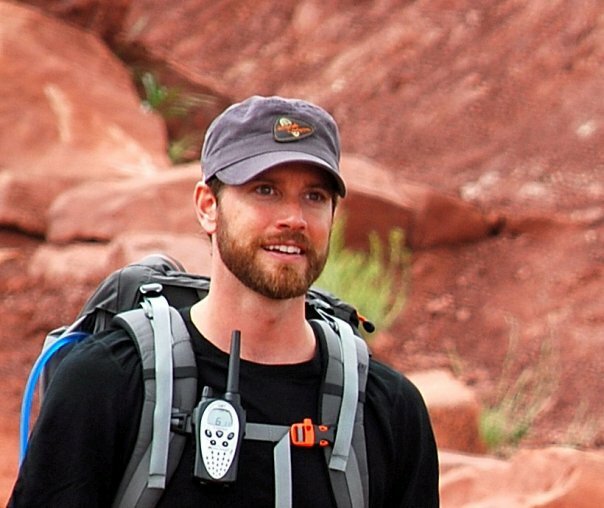 The guides at Arizona Outback Adventures are here to help. Over the coming weeks we’ll be featuring tips from AOA guides about everything from paddling to hiking to mountain biking in Phoenix and the surrounding region. They’ll show us where to go, what to do, and maybe divulge a few of their insider secrets, too. This week we feature Brian Jump. Brian, a native of coastal Maine, came to the desert in 1998 and has worked as an outdoor guide in Phoenix and across the Southwest ever since. 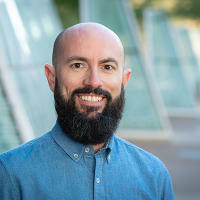 He has hiked, backpacked, mountain biked, canyoneered and river rafted his way through the most rugged and picturesque wilderness in Arizona and he’s an expert on parks, preserves and trails in the region. 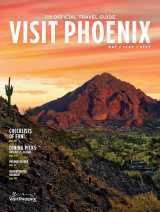 What’s the best way to explore the desert around Phoenix? Honestly there is no best way. There are different ways to explore during each season. Ride a bike, hunt for blooming wildflowers or walk among the towering giant saguaro cactus. Whatever you choose to do, you’re on the right track if you’re spending time outside feeling the dry desert air. What’s one spot around Phoenix that’s a good representation of the Sonoran Desert? 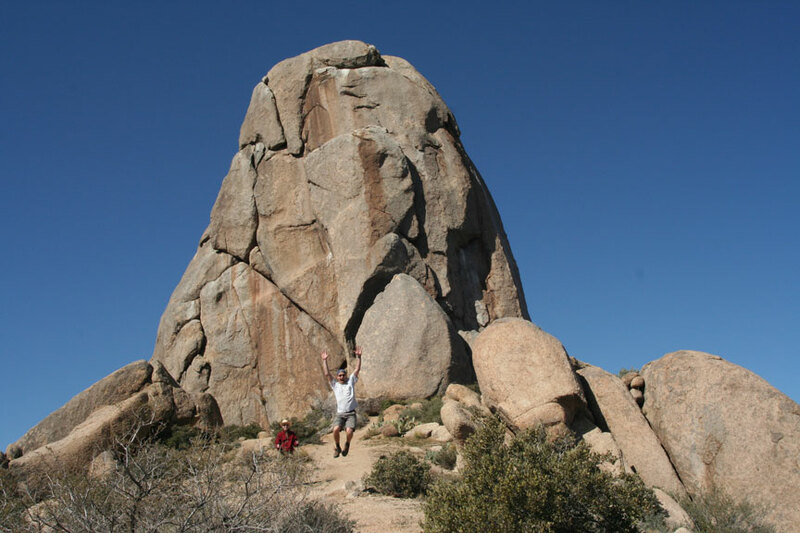 There are a lot of places around the greater Phoenix area where you can hike then look around and say, “Yeah, this is the desert.” But I’d say my favorite spot is up in the northern McDowell Mountains where the terrain includes immense granite boulders. What’s your favorite trail near Phoenix? This is tough but I do have a favorite. It’s a “climber access” trail in Scottsdale near Tom’s Thumb, so you don’t see many people on it. But even if you simply follow the popular hiking trail, the views and terrain near Tom’s Thumb can’t be beat in my book. Where’s the best place to catch a famous Phoenix sunset? Look west from a perch in the Phoenix Mountain Preserve and watch the sun disappear over the White Tank Mountains. Or, better yet, swivel 180 degrees and check out how the light plays on the McDowell Mountains in as they turn to yellow, then pink and purple before finally fading into darkness. 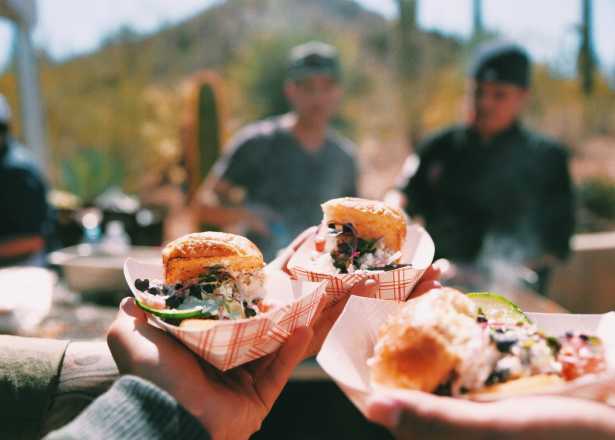 When you take visitors to Phoenix out for an outdoor activity, be it hiking or mountain biking, do you have anything that you really like to share with them? I love to talk about the unique ways the different desert plants survive with only seven inches of rain each year. The story that is the fun to tell is that of the jumping cholla cactus. People are always amazed by the “silent killer,” as we sometimes call it. It’s also fun to tell all the different reasons why people think that it does or doesn’t jump. There are plenty of funny stories to share about run-ins with cactus. Don’t get too close to “jumping” Cholla! A lot of people are worried about rattlesnakes. Do you come across them very often when hiking around Phoenix? Are they something to be concerned about? They’re not something I’m overly concerned with. Aware of, but not concerned. It’s kind of like when people go swimming in the ocean for the first time and they’re worried about sharks. When they go hiking in the desert the first time they are always worried about running into a rattlesnake. An encounter doesn’t happen all that often, but you should know how to react if you do. Just stay calm, get a sense of where the snake is and move in the opposite direction. Are there any other dangerous animals that people need to be cautious about or aware of? Gila monsters – just joking! 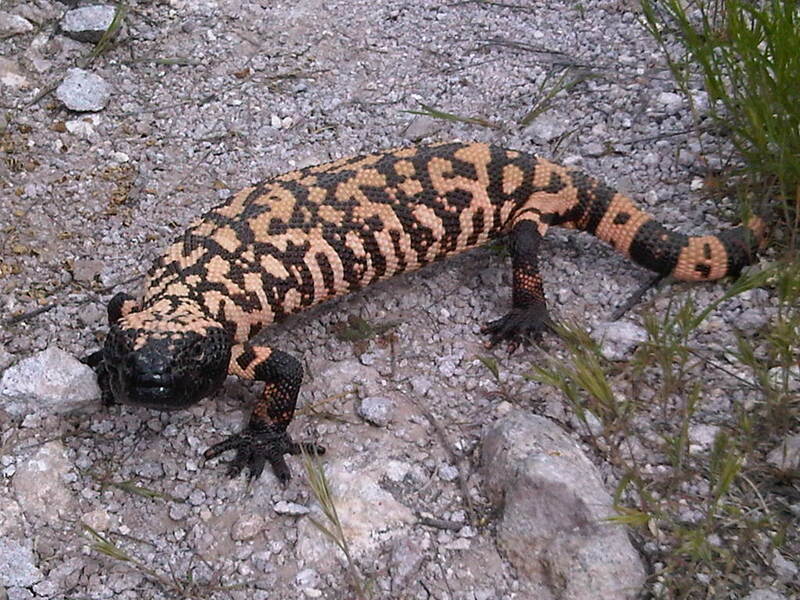 Gila monsters could be dangerous but you rarely run into them. If you do, you are very lucky. Some people get concerned about mountain lions if they’re hiking outside the Phoenix metro area, but if anything it’s a cool experience when you see animals in the desert. I constantly tell people that the only animals crazy enough to be out in the midday sun are us humans. 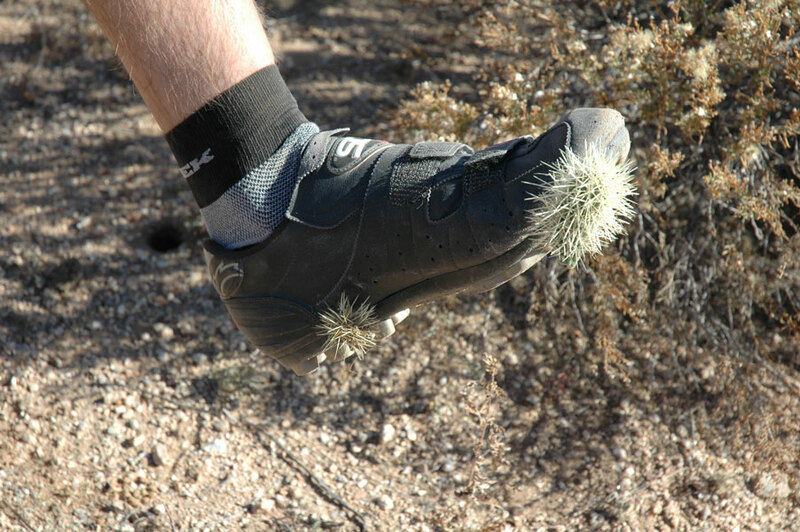 What other sorts of things do you caution visitors to the desert about? Stay hydrated and protect yourself from the sun. We have to harp about it sometimes, but it’s really important. We are constantly cautioning visitors about how harsh the sun can be. It’s the greatest threat to your safety in the desert. The great thing about post-adventure eats is they all include my favorite spice — hunger. 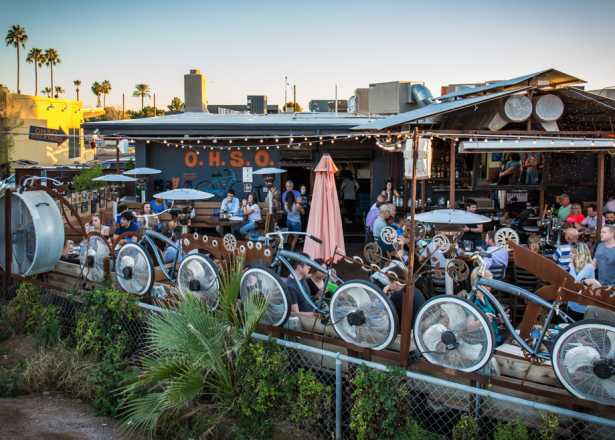 That said, I love Mexican food and a cold beer after spending the day out in the desert and the casual atmosphere, good prices, and outdoor seating at Los Dos Molinos can’t be beat! Would you say you are discovering new things all the time? 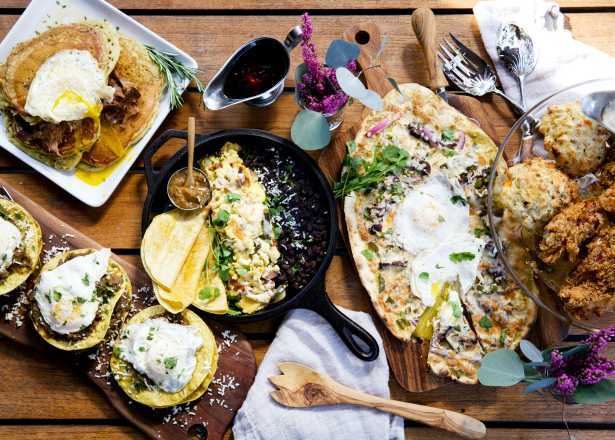 That’s the cool thing about Phoenix and the surrounding area – it has tons of hidden little gems to go experience. So yeah, I am still discovering new places all the time. I doubt there’s anyone who really knows all the best hikes in Phoenix or most interesting places to see wildlife because there are just too many great spots to know them all. What do you enjoy most about working as an outdoor guide? Taking people to a place they’ve never experienced before and watching them enjoy an environment that’s often entirely new to them. I get to see that sort of “first-timer” experience from their eyes and it brings me back to my first experiences in the desert and when I started to discover the amazing natural history of this place that I had previously thought was dry, inhospitable, and devoid of life. I love to share the intimate side of how the ecosystem here functions and see people be as surprised as I was back then.